BEIRUT (Reuters) - A stand-off between Lebanon’s Prime Minister Saad Hariri and a pro-Syrian politician escalated on Saturday when shots were fired while police sought to bring the politician in for questioning over accusations of stirring strife. The past few days have seen a sharp rise in tension in Lebanon, after video emerged of Druze politician Wiam Wahhab filmed at a gathering making obscene personal insults. Although Wahhab did not name the target of his insults in the video, he was widely perceived as referring to Prime Minister Saad Hariri and his father Rafik, a statesman who was killed in 2005. Hariri’s allies filed a legal complaint, accusing Wahhab, an ally of the powerful Shi’ite group Hezbollah, of “stirring strife and risking civil peace” in the video. The police, in a statement, said officers had gone to Wahhab’s residence in the village of al-Jahiliya on Saturday “with the aim of bringing him” for questioning, but he had fled before their arrival. It said police had not opened fire but unidentified gunmen had shot from neighboring buildings, and Wahhab supporters had fired “randomly”, wounding one of the politician’s aides. Wahhab was quoted by news organization LBC International as saying one person was wounded in what he described as a clash. “I was subjected today to an attempted assassination and the person who was wounded was meters from me. Let Hariri bear the responsibility of this blood,” he told LBC International in comments reported on its Twitter feed. Wahhab, referring to the video that sparked the legal complaint, said his remarks were “general” and not directed at Hariri’s family. He criticized the security forces for arriving in large numbers, adding: “What happened today means civil war”. The police said a travel ban had been imposed on him. Earlier this week Hariri supporters staged protests and blocked roads after Wahhab denounced Hariri as incompetent in a TV interview. Hariri’s Future Movement has said the Hariris were being targeted by “a campaign of falsehoods” hatched by “sick minds” bent on obstructing efforts to form a new government. 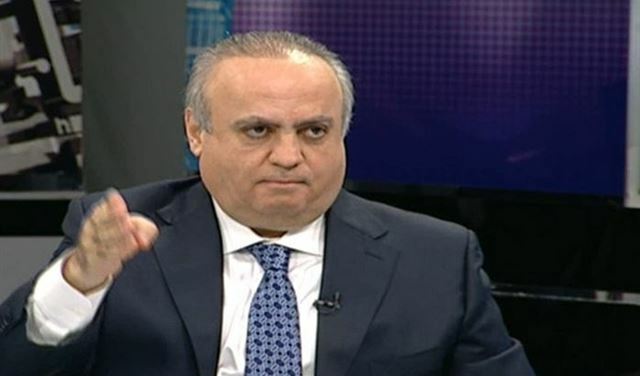 Wahhab, who has close ties to the Syrian government, is a prominent figure in Lebanon, although another politician, Walid Jumblatt is the main leader in the Druze community which is guaranteed eight seats in Lebanon’s 128-member parliament. “We support any measure that firms up civil peace and it’s enough that this person or anyone else threatens civil peace,” Jumblatt said on Saturday after a meeting with Hariri. Lebanon has suffered spasms of political crisis and violence since its 1975-90 civil war. Hariri leads a caretaker government but has been unable to form a cabinet since a May parliamentary election, with factions at odds over the division of posts. Reporting by Tom Perry, Laila Bassam and Lisa Barrington; Editing by Peter Graff Our Standards:The Thomson Reuters Trust Principles.